Our comprehensive approach to integrated billing services combines the best practices of paper and electronic bill presentment into a single reliable resource. As a leading independent producer of recurring statements and bills, we provide seamless coordination with major banks, payment processors, and software suppliers to deliver the smoothest, fastest, and most flexible billing system available. 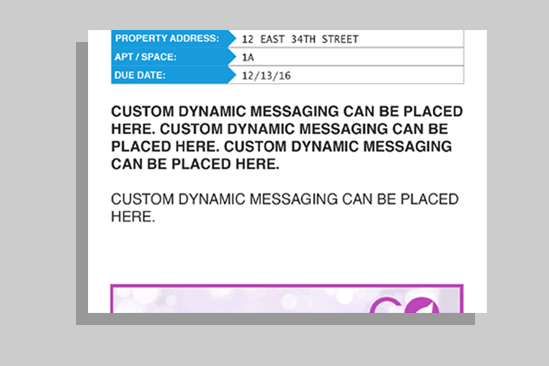 Add custom messaging to your statements enabling you to send valuable information or reminders to all of your residents. 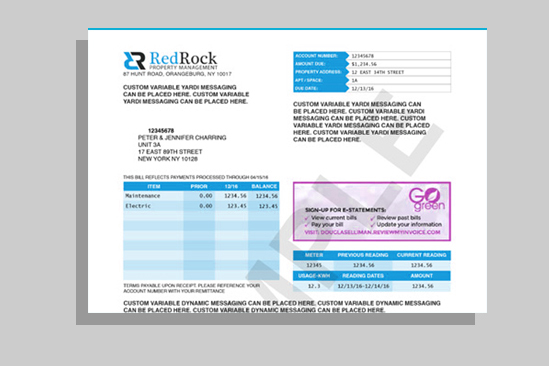 Our software allows us to brand your bills & statements with your company logo, color scheme and layouts. 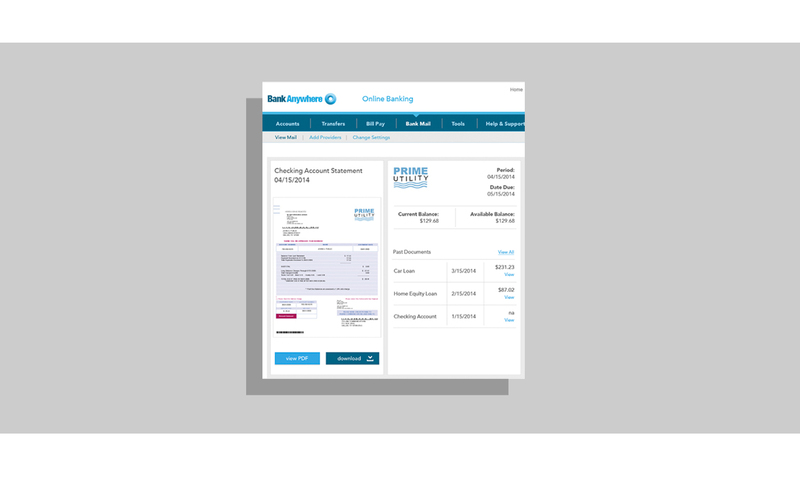 Through our portal you can resend eBills, view past bills, upload attachments or check your job status. 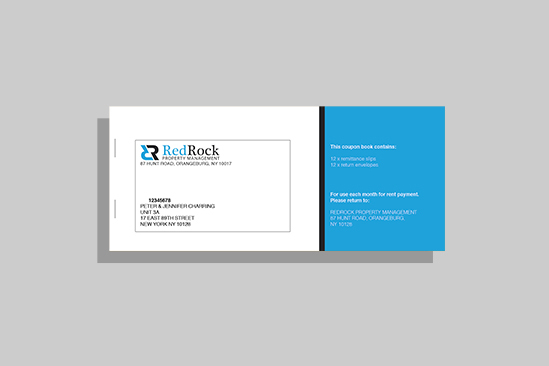 Our FastPrint service utilizes high-speed printers to produce your bills & statements, merge them with return envelopes, and insert them into outgoing envelopes. 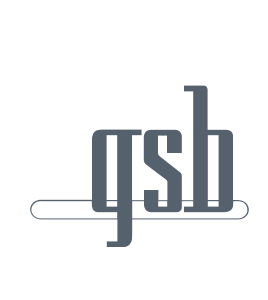 GSB will ensure your paper and eBills look identical and we will manage ongoing customer delivery selections for you. Your bills & statements are bundled, sorted, barcoded and mailed at the lowest possible postage rate with guaranteed on-time delivery, or shipped to your office for distribution. 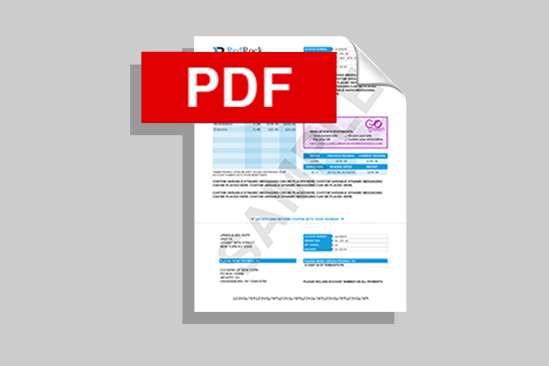 Our fully integrated solution enables you to send a truly itemized email bill that looks exactly like your paper bill. Electronic delivery also integrates with your payment provider for quick & easy payment. This means that detailed billing items, branding, and dynamic messaging is 100% consistent across all your bill presentment platforms. eBills yield faster payments, lower costs and fewer billing questions. GSB’s ground-breaking bill delivery to popular cloud storage providers is a secure, digital communications platform that enables billers to easily communicate with customers through their digital channel of choice, thereby increasing electronic adoption. 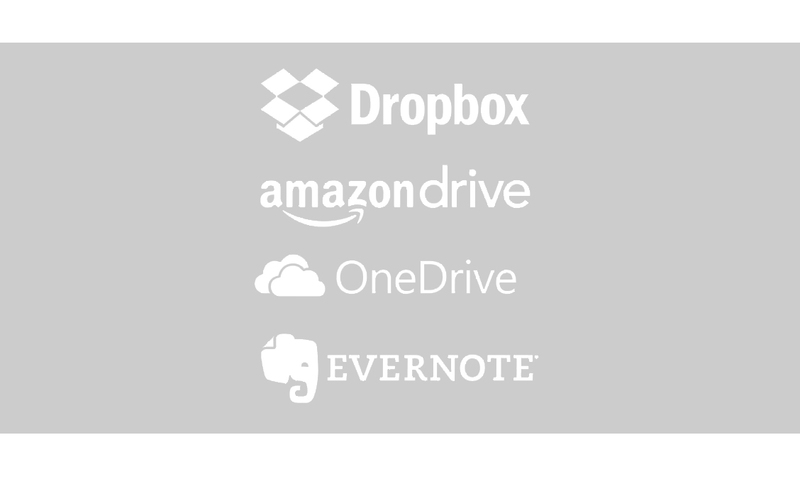 Consumers are able to choose from popular cloud platforms: Amazon Drive, Evernote, Microsoft OneDrive or Dropbox (with additional platforms being added regularly)*. Through GSB’s online banking delivery, billers can reach their customers at the destination they trust most – their bank. 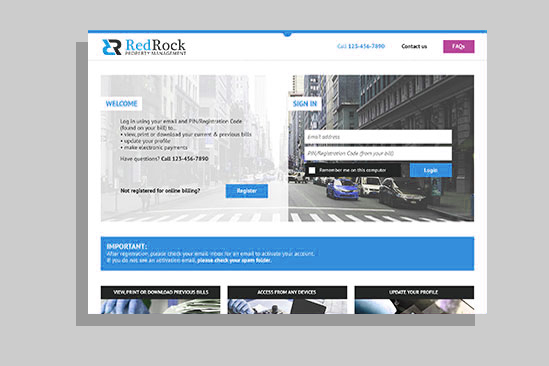 This allows you to engage and market to your customers outside of your own website, at more than 4,000 banks and credit unions. By delivering your bill to the consumer’s online bank you will reduce paper billing costs, get paid faster and enhance your customer experience. Coupon books are an economical and simplified option for collecting, tracking and expediting regularly scheduled payments. GSB’s state-of- the-art digital printing facilities combined with our extensive expertise in billing services & statement presentment, positions us to be the most flexible, cost-efficient provider for coupon books. We do it all, from book printing, inserting & addressing, dynamic messaging and replacement book orders. We can even integrate our eBilling solution with coupon book recipients. WE ARE CONSTANTLY EXPANDING OUR RANGE OF BILL DELIVERY PLATFORMS SO WATCH THIS SPACE FOR NEW RELEASES. 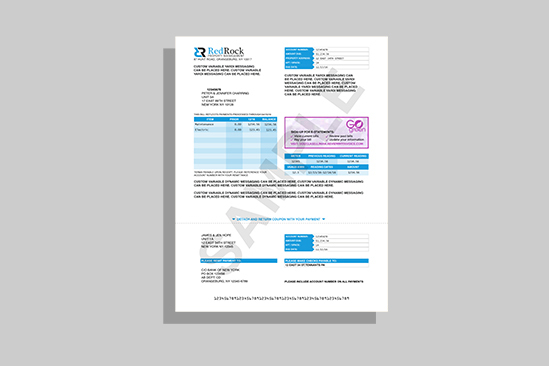 Want to discuss your billing requirements?